Are you a responsible dog trainer? Wanna train your Dalmatian in the best and safest way? Then start working on his grip building using this Dog Bite Developer! 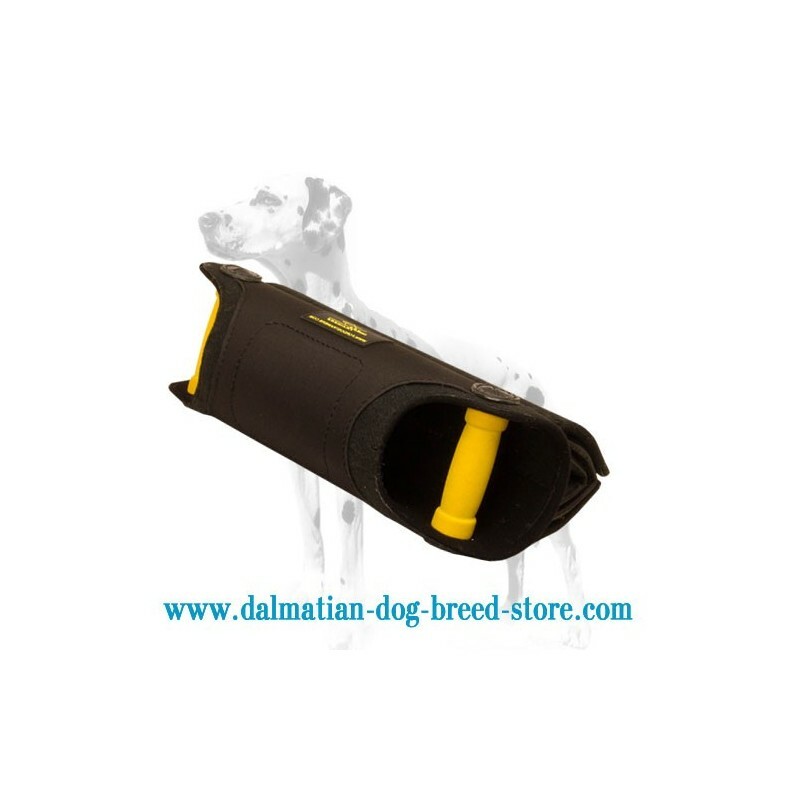 The most prominent feature of this dog training item is the opportunity to adjust the bite angle depending on the experience your dog gains step by step. NOTE! 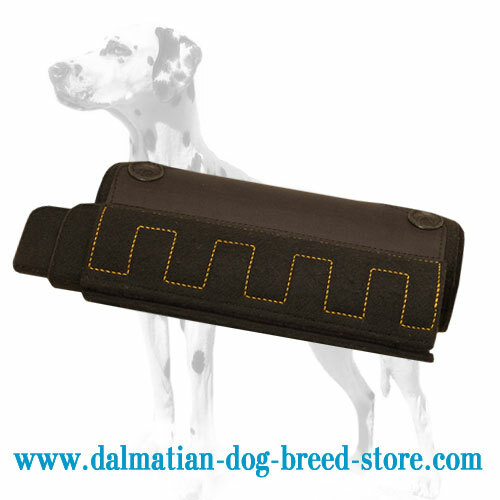 Professional dog trainers recommend to use this sleeve when a dog is at least 9-10 months of age, but it depends on the dog only. Be sure your dog isn’t teething when you start working on his grip development. The presented dog bite builder is a great item to teach your pet open the mouth up wide and strong. The dog trainer is provided with a greater variety of motion thanks to hard inside handles that can be grabbed strongly by hands. 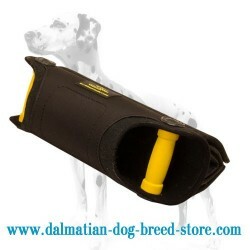 The sleeve has also an inside plastic barrel that can be adjusted in 3 ways depending on the training level of your dog. This gear can be used for young dogs to build a strong, full-mouth grip; however, you can use it for adult dogs as well to improve his grip strength and close bite targeting. Please Note: it is necessary to use this dog training sleeve with the special cover, otherwise this product will tear shortly. Depending on the frequency of its use, this cover should be changed from time to time. You can order the cover that will suit this sleeve in the drop down box; it can be made either of jute or of French linen – your choice.